In a parallel dimensional overlay, I build and maintain the Pedestrian's Society of Space and Time, an ongoing multimedia project and organization committed to advancing and restoring the magnetism of your localized sphere. 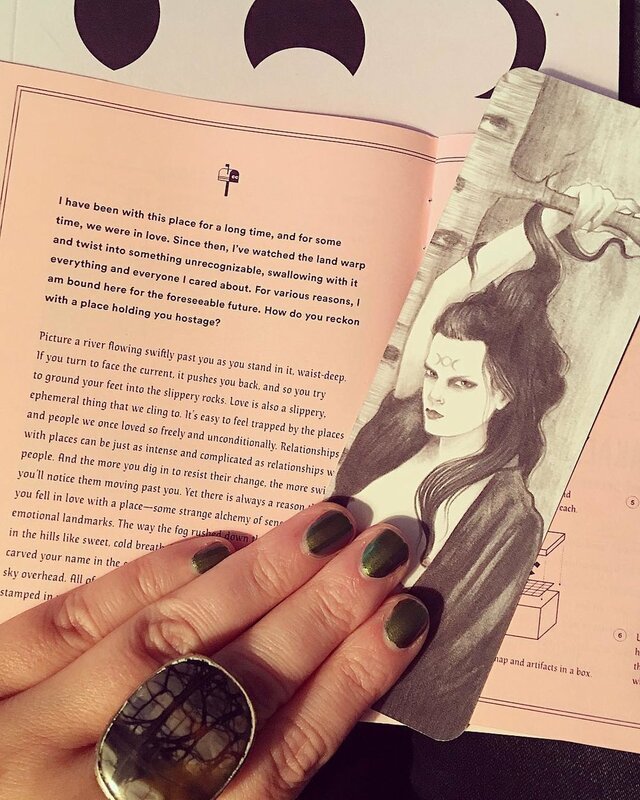 The first installment of PSST, a collaboration with writer Melissa Graeber, was released in Spring 2017, in the form of a 20-page local gazette filled with spells, secrets, and self-care, printed and hand-bound with amethyst ink and staples on rose quartz paper. The first printing of PSST Chapter 1 was featured in The Galallery's Love Is Planned Parenthood benefit show and is also available at The Future Minneapolis and on PSST's web portal. If you missed it, a second printing has been prophesied – keep your tuning forks handy. Thank you to Brook Shelley, Allison Gore, David McCarty, Manjula Martin, Mlle Ghoul, Money Witch, Morgane Santos, and The Future Minneapolis for sending in these images of their portals.